Megastar Chiranjeevi is going to host the latest episode of the blockbuster tv show, ‘Meelo Evaru Koteeswarudu’ and we have already reported the news. The show was made extremely popular by Nagarjuna and Chiranjeevi will have a tough task on his hands. The Megastar is viewing this as a good opportunity to make a deep impact on lakhs of viewers during prime time television. As a result, he is leaving no stone unturned in the process. Chiranjeevi is reportedly taking the help of voice coaches and body language experts, to make a good impression. Sources say that he is undergoing rigorous training for the same and the first episode will be recorded from late October/November. 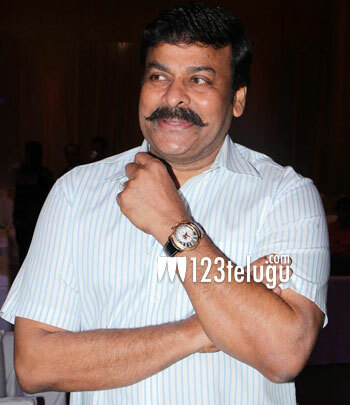 Chiru’s comeback film, Khaidi No 150 will be out in January.